A plan to build the largest and most powerful hydroelectric dam in the world is being discussed in London. Financiers and African politicians will look at how to finance the $80bn (£40bn) cost of the Grand Inga project. The plant in the Democratic Republic of Congo would generate twice as much energy as China's Three Gorges dam. It is hoped it will boost Africa's electricity supply by a third, but opponents doubt it will help the poorest Africans without electricity. The World Energy Council, (WEC) which is hosting the two-day meeting in London, says the Grand Inga project will help the estimated 500 million Africans without access to electricity. "We have to raise the level of access to commercial energy all through Africa and other parts of the world, where this poverty is faced," WEC secretary general Gerald Doucet told the BBC. "We can't do it without building these projects, but of course, on a sustainable basis that takes into account the social, civil and environmental issues. "And I can say that in the past, mistakes have been made, but WEC is here to make sure those mistakes are not repeated," Mr Doucet said. Power would be transmitted to other countries via a giant new distribution system to Egypt in the north, Nigeria in the west and to South Africa. In order that construction can start as planned in 2014, the World Energy Council is calling for finance for a feasibility study to be done as soon as possible. 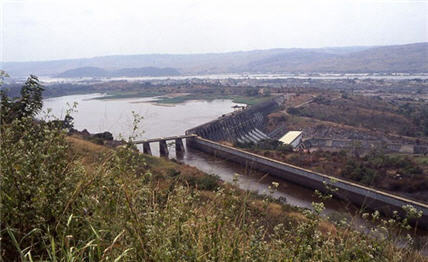 The Grand Inga project would be built on the Congo river alongside two existing hydroelectric plants and is expected to begin operating between 2020 and 2025. The plans include a 205m-high dam, 15km-long reservoir and a plant with a capacity to produce 320 terawatt hours of electricity annually. The idea for the project was first conceived in the 1980s, but political turmoil in the DR Congo meant that the plans could not proceed.